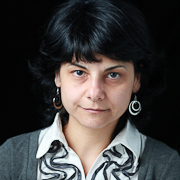 Anna Paola Concu, at CRS4 since January of 2010 as administrative. She graduated in Cagliari in 1997 in Biological Sciences with botanical address, with a thesis concerning restocking on the part of the bryophytes of sterile landfills of mine, in the area of the Iglesiente. After university studies she has played a significant work at various companies mainly in the administrative sphere between them, the more significant, Saras Spa to Sarroch on behalf of the Petroltecnica Spa of Rimini, Tiscali Italia Spa and Bank C. I. S on behalf of a cooperative of services. In the CRS4 deals with purely for managing orders within the purchasing office.